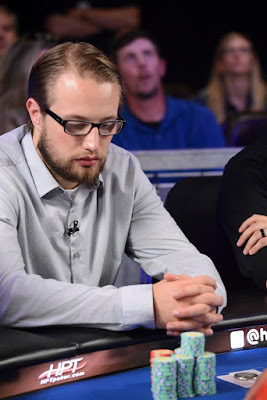 Matthew Moore moves in for his last 2BB and JR Scott makes the call, as does Dave Hampel. Both players check the Jh Js 9s flop, Tc turn and 4s river. Moore gets back to 7BB.